When me and my brother were kids, we hated traditional Thanksgiving and Christmas food. No turkey, ham, dressing, or green bean casserole for us... We wanted pasta!!! 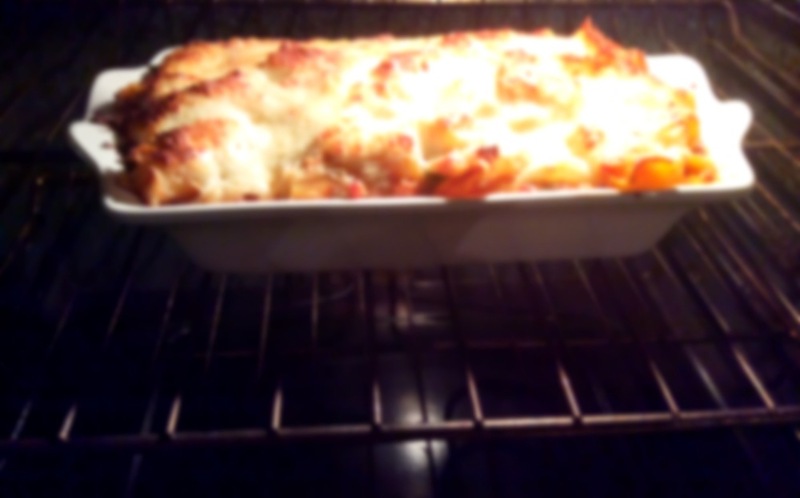 So every year, my sweet mama made sure we had a delicious, cheesy, bubbly dish of comforting baked pasta. 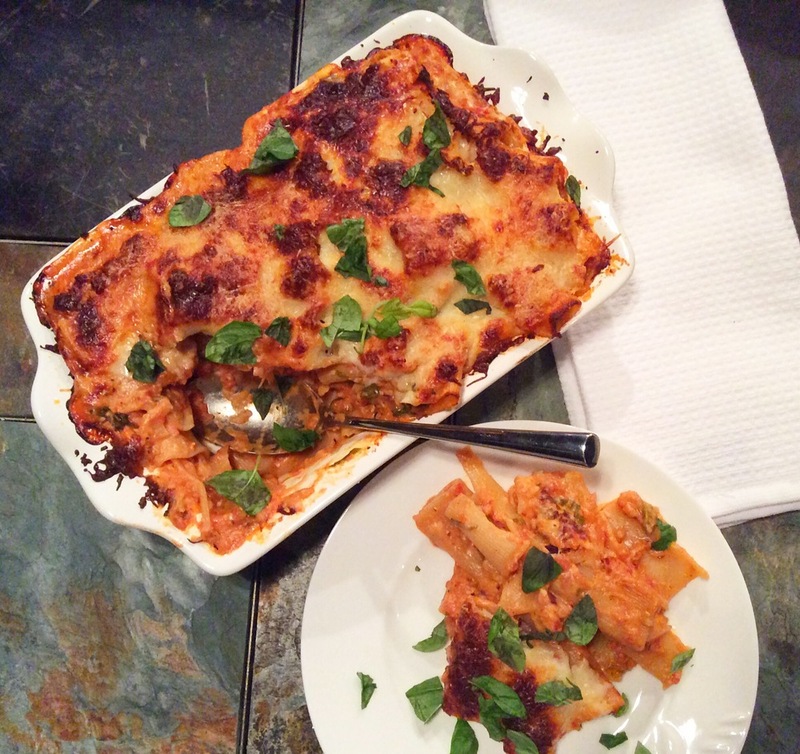 She usually cooked lasagna but there were a few times baked ziti was on the menu, and I absolutely loved the dish! 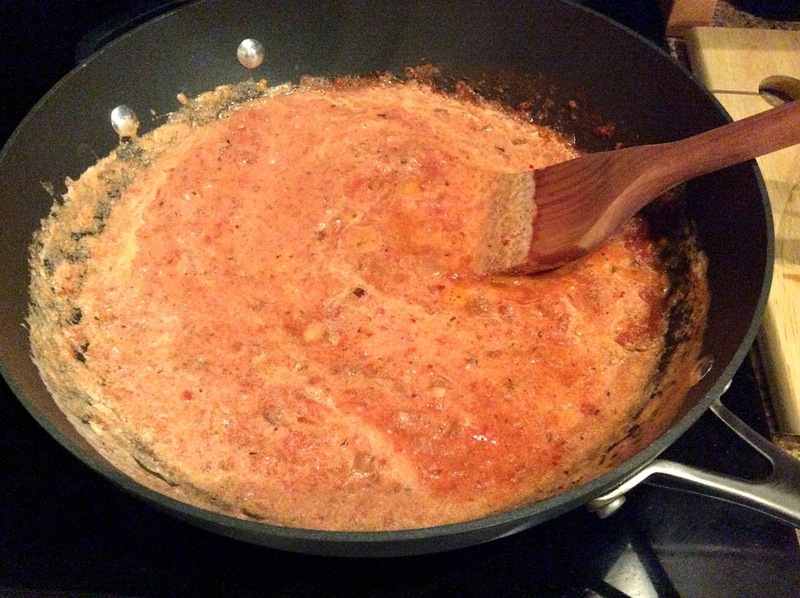 Here I have taken the traditional vodka sauce and put it into another form.. Baked ziti! A perfect dish for Christmas or any of these cold days! 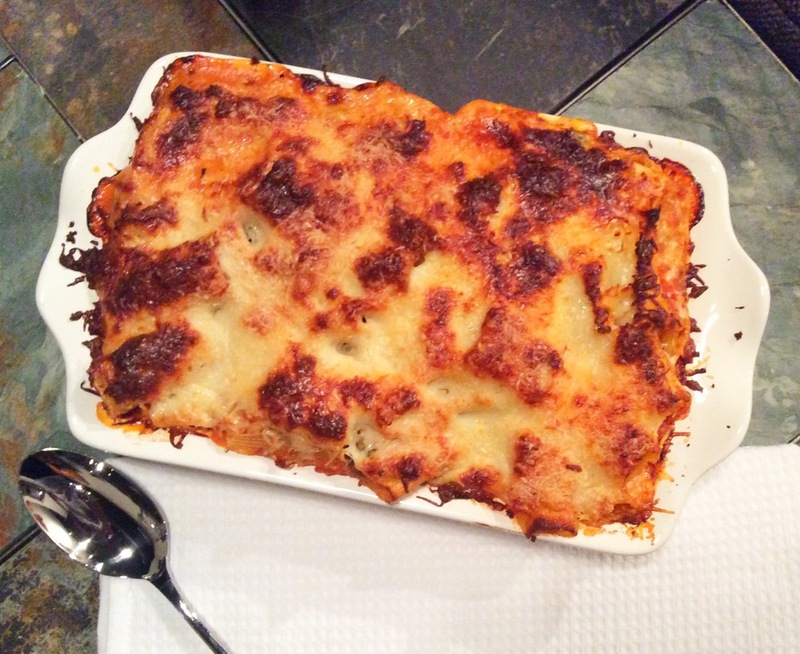 Every time I eat baked pasta, I can't help but think of it as Christmas food. Heat olive oil and butter in a large sautée pan over medium heat. Sautée shallots until they begin to brown. Add garlic, seasoning, and red pepper and sautée for one minute or until fragrant. Step 2: Add vodka and scrape up brown bits off the bottom of the pan. Let vodka reduce by half. Stir in tomatoes, cream, basil, and salt. Let sauce cook over low heat for 15-20 minutes. 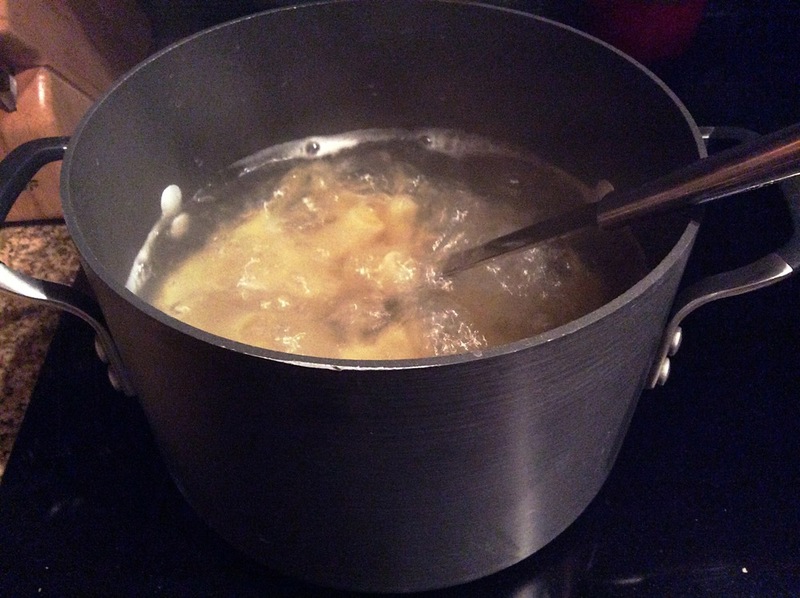 Step 3: Bring a large pot of water with a handful of Kosher salt to a boil. Add pasta and cook until almost al dente but not quite (about 1-2 minutes less than package says). Drain pasta and set aside. Step 4: Add mozzarella and pasta to the sauce mixture and stir to combine. Transfer to a casserole or baking dish. Top with Parmesan and olive oil. Bake for 20-25 minutes until cheese is melty and bubbly. Top with more basil if desired.